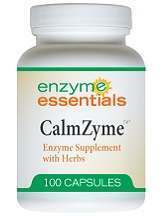 We decided to review CalmZyme by Enzyme Essentials. This is a natural supplement made from a combination of herbs with plant enzymes to create a pure formula that acts to make digestion more efficient, improve the immune system and assist in giving you more energy. Improving ones’ digestion will greatly improve your results and the effects of CalmZyme because it breaks down more efficiently so that the body can utilize more easily. This product’s label claims it is NOT- addictive and NON-allergenic which makes this a safe product for just about anyone. The makers of CalmZyme suggest that consumers take one capsule either near bedtime or between two of your meals. They also advise consumers to drink plenty of liquids for good absorption. Each bottle of CalmZyme contains 100 all vegetarian capsules which means this item will last longer than the average competing product. This is a great selling point for this commodity. Extra ingredients: water and cellulose. Customers can purchase CalmZyme directly from the manufacturer for $15.95 for a bottle of 100 capsules. essential enzymes offers discounts if you join their member plan which is basically auto delivery. If you are willing to sign up to get your product delivered every month automatically for a discounted price. This is a great deal for customers that don’t mind the inconvenience when they decide to call and cancel one day. But for those that like convenience more, this won’t make or break your decision. While taking CalmZyme, you may go through detoxification at elevated levels which, in turn, could cause you to feel more tired than usual and/or sore all over for a several days. The company Essential Enzymes advocates increasing your fluid, as well as, the dosage amount to achieve the greatest results. Furthermore, the manufacturer declares this product as safe for all ages including infants and young children. 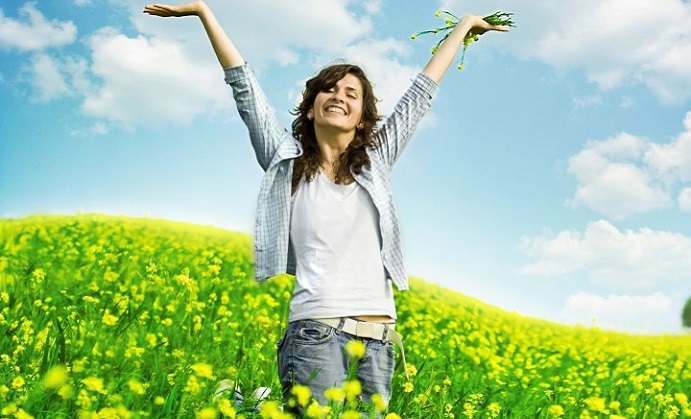 Essential Enzymes proclaims their product is free of any pesticide or herbicide residuals. Also, CalmZyme does NOT contain any gluten or dairy which should appeal to consumers with allergies to these ingredients. This manufacturer operates as a certified GMP or Good Manufacturing Practice following the highest manufacturing standards producing quality grade natural supplements. No matter what the reason or why the customer wishes to return the product, Essential Enzymes will give you a full refund of the product minus shipping and handling. Simply send the product back within 30 days of the purchase date. This guarantee is straight-forward and easy to understand. A definite selling point. After reading the product’s information provided by the manufacturer, CalmZyme would be a reasonable choice for taking on your sleepless nights and moments of anxiety. That being said, the 30 day guarantee may make customers skeptical, since it may take longer for the consumer to decide whether or not he/she is satisfied with the product. This product’s website does not provide positive customer reviews, which may be a sign that there are not any happy customers.